Q: What is locum tenens? A: Technically, it’s a Latin phrase meaning “place holder.” In this case it describes a type of relationship where a physician fills in at a hospital or other provider on a temporary assignment. A: In our field moonlighting is a term that typically describes a job assignment that occurs outside of a “regular” work day, such as coverage of overnight and/or weekend hours. These shifts are often picked up by doctors who have other responsibilities during 9-5 hours, and “moonlight” at these jobs to earn extra income. Q: What is the minimum number of hours I can contract for per day? 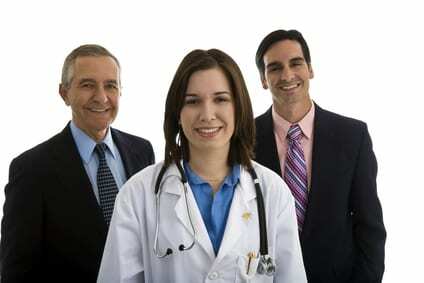 Q: Who takes care of the medical malpractice insurance? A: Typically, physicians come to you with insurance. PsychStaffing will provide a certificate of insurance. Q: Who bills for the direct patient care services? A: We charge an hourly rate, depending on job type, time of day, and distance to be traveled. Q: How will PsychStaffing bill my company? Q: Are your doctors prescreened? A: Yes. Our psychiatrists come prescreened with an organized credentialing package specially prepared for your facility, complete with CV, copies of State Licensure, DEA and references. Q: Can PsychStaffing provide on-going coverage for our “unpopular” shifts like nights and weekends? A: Yes. PsychStaffing specializes in providing ongoing coverage for nights and weekends helping you retain your permanent psychiatrists and preventing their burnout. Q: Can PsychStaffing provide scheduling assistance for our facility? A: Yes. With an annual contract, you provide your calendar of open shifts and we provide free scheduling service all year long for your facility. Q: Are your services cost-effective? A: Yes. When employers realize that they are not paying for malpractice premiums, FICA, benefits, CME expenses or scheduling services they wonder why they have waited so long!